CITY of Plymouth’s Jed Hutchings and Molly Shorey and Erme Valley Harriers’ April Oakshott rounded off good weeks by claiming top three finishes at the second Westward Cross Country League event at Newquay on Sunday. All three had won Plymouth & West Devon Schools’ Cross Country titles on Thursday before heading down to Cornwall three days later. Hutchings, having claimed the Year 7 boys’ Plymouth & West title, took second place at Newquay in the under-13 boys’ race. He finished just behind Exeter Harriers’ Charlie Hague. Fellow City of Plymouth athlete Thomas Jones, who won the Plymouth & West Devon junior boys’ title on Thursday, was fifth on Sunday. Shorey matched Hutchings achievement in winning the Plymouth Year 7 title and finishing second at Newquay at under-13 level. She came home eight seconds behind winner Iona Farquaharson of Torbay. Verity Tank was fourth on Sunday, having finished second to Shorey at the Plymouth championships. There was also a top three finish in Cornwall for another City of Plymouth athlete, Madeleine Jones. She took third in the under-11 girls’ race, with club colleague Isabella Morris fourth and Tavistock’s Lara Dix and Claudia Jones finishing within a second of each other in 10th and 11th spots, respectively. Erme Valley’s Oakshott (pictured top) continued her good season by finishing second under-17 in Newquay. She had won the intermediate girls’ title at the Plymouth & West Devon Schools’ event and is currently leading the series standings in her category at the Westward League. Oakshott was 11th overall in a strong women’s race that was combined with the under-17 event. Tavistock’s Natasha Farrington was third under-17 on Sunday, having claimed a silver in the schools’ championships three days earlier. Cornwall’s Heidi Tregenza was first senior women, with under-17 athlete Chloe Olford second overall. 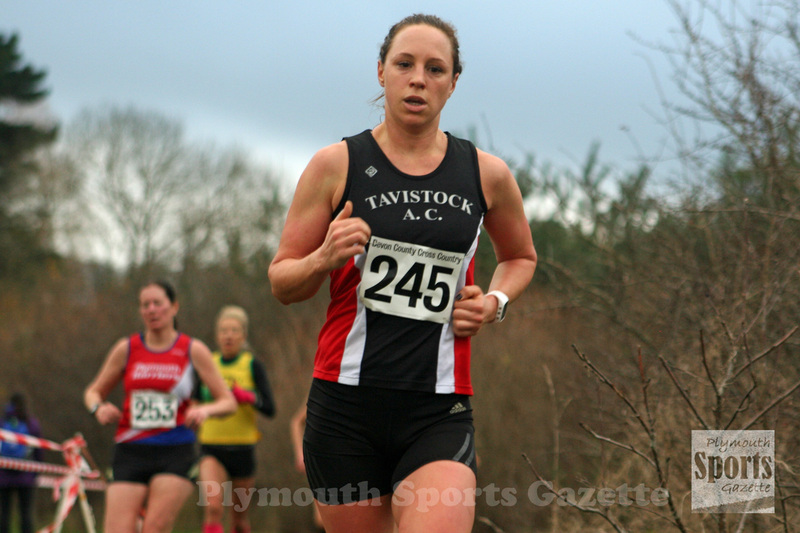 Tavistock AC’s Olympian Heather Fell was fourth overall, third senior women and first over-35 with a strong run in Cornwall. Erme Valley’s Cleo Perry was seventh senior, eighth overall and second over-45. There was also top 10 finishes for Plymouth Harriers’ Lutie Akinci and Ami Yetton, who is currently leading the over-35 standings. Erme Valley’s Emma Lake was first over-40 and club colleague Alison Engledew first over-60. Tavistock’s Amelia Riggott, who had won the Plymouth & West junior girls’ title on Thursday, just missed out on a top three finish in Newquay. 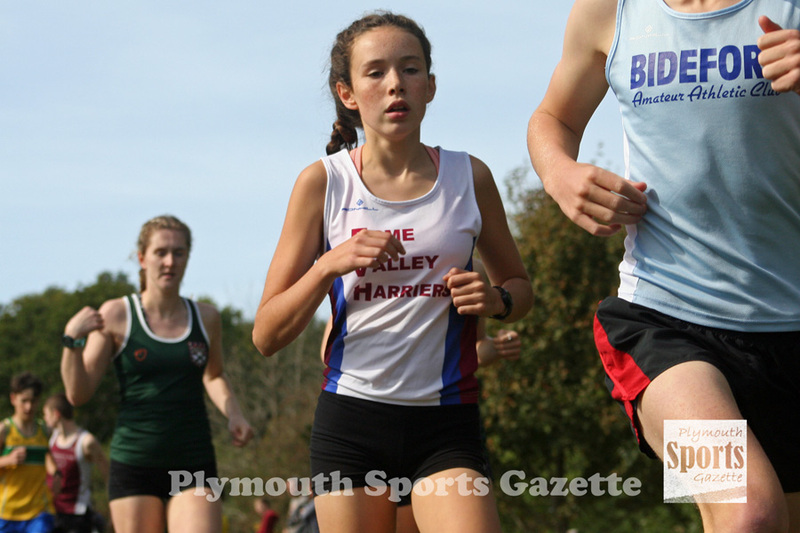 She came fourth in the under-15 race, with team-mate Kristyna Cade finishing eighth having taken second at the Plymouth championships. Tavistock’s Bradley Stevens was fifth in the under-17 boys’ race at Newquay, while club colleague Joe Dix was ninth in the under-15 race. City of Plymouth’s Barnaby Hutchings was seventh in the under-11 race, one place ahead of Erme Valley’s Callum Williams. The senior men’s race was won by Bideford’s Ronnie Richmond, who beat Newquay youngster Finn Birnie. Tavistock Run Project’s Ben Neale was ninth, with club colleague Jim Cole 13th and Tavistock AC’s Adam Holland 16th. Tavistock AC’s Martin Exley-Deane was first over-55 again, while Erme Valley’s Ken Summer was first over-65.